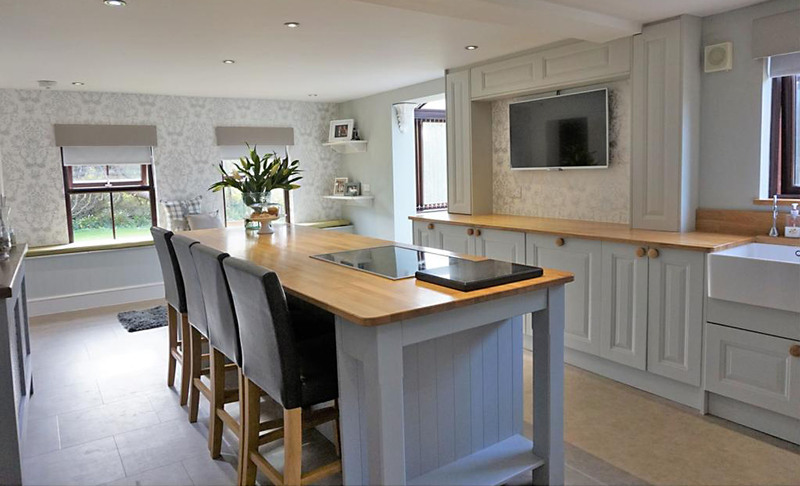 The clients had just completed an extension and wanted a traditional kitchen to suit the cottage style house but with a slight modern touch. West Coast Kitchen Studios used the Jefferson Range with Dust Grey on the main kitchen and Light Blue on the large island which also incorporated a custom built open end display unit and wine storage above the larder units, finished off with Soild Oak worktops. We cannot thank West Coast Kitchens enough, our kitchen is beautiful and we now use it as a living area as well as a kitchen! Richard, Carl & Gail were all very polite and knowledgeable and couldn't be any more helpful. 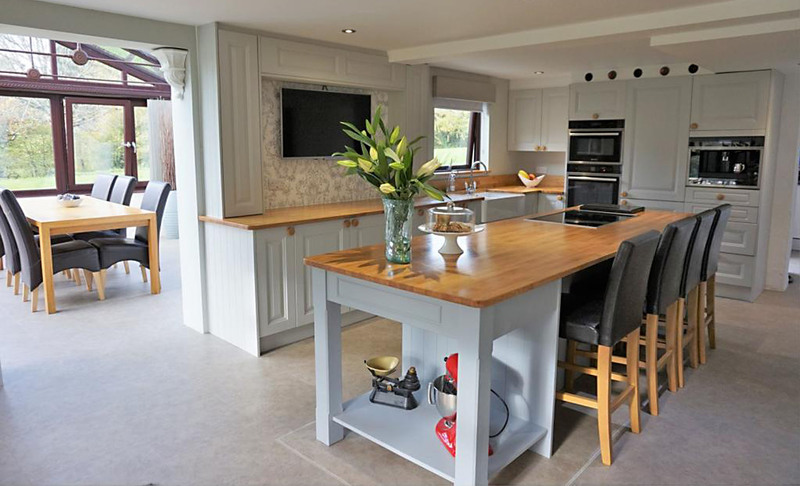 When Steve came to fit the kitchen he worked as it if was his own home, each detail was expertly finished! Thank You!